Boutique Hotels have many characteristics that distinguish their category, perhaps the primary quality is the unique experience they offer travelers. ADD SAMPLING INFO HERE These hotels tend to be smaller than a regular hotel; typically they have between 10 and 100 guest rooms and because of the smaller size, travelers can find tremendous value in a one-of-a-kind getaway. Other compelling reasons to seek out small boutique hotels are because they are impeccably decorated, luxurious, and romantic. Boutique inns are usually independent businesses in architecturally unique buildings, and they offer opportunities to expand social horizons. They may offer breakfast and always provide superb restaurant recommendations. Boutique hotels offer many amenities, and are much more than just a repeatable chain hotel. dinner. Intimate ceremonies are then held in cobblestone courtyards, in a manicured clearing next to a deep woods, on a bluff overlooking a river or lake, or perhaps in the inn’s Midnight Garden. The event is topped off with a celebration arranged by the inn’s wedding planner. 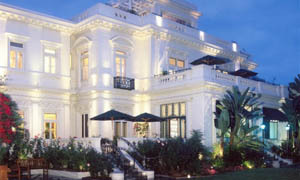 Luxury boutique hotels have the capability to make brides feel like modern day princesses. Boutique Hotels Feel Like Home, Only Better They say that home is where the heart is. Home can also be defined as a place where one feels most comfortable. Small hotels feature a sense of home with relaxed common spaces and comfortable couches in dramatic living areas that encourage long conversations or time to finally finish reading a book. Guests feel that the hotel is a home-away-from-home. They can sit and linger over a glass of wine, browse through a library of books or movies, play a board game, or sleep until noon. Best of all, it’s home without having to make the bed or fluff up the sofa pillows. 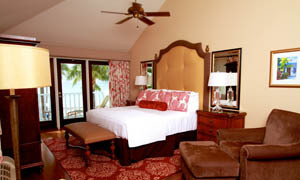 Travelers also choose small boutique hotels for extended stays because of the level of comfort and convenience provided. Boutique Hotels Are One-of-a-Kind Most American boutique hotels are in buildings with either interesting architecture or excellent locations whether mid-town or along a bucolic river in the country. They are independently owned or part of a very small collection of inns. Innkeepers are enthusiastic about their business and strive to create a distinct experience for travelers. Small hotels offer top-notch concierge services ensuring that every guest makes the most of their getaway. They offer assistance in booking golf outings, dinner reservations, and theater tickets or finding local orchards and farms or walks and waterfalls that are unique to the area. 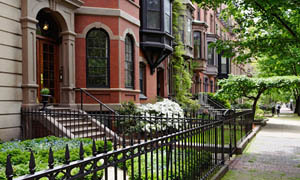 With a smaller group of clientele, guests can expect to find the most interesting assets of the area they are visiting. Innkeepers identify and source locally made cheeses, wines and farm to table items whenever they can so they can give guests a sense of place that includes the area’s artisan food and drink. 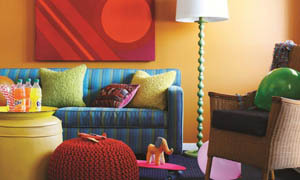 Guest rooms most often are decorated individually with a unique theme or color scheme. 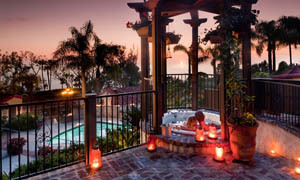 Amenities include quality bath products, plush towels, and soft robes. Each boutique hotel is different from the next. While the overall essence of luxury and fine living remains the same, small hotels endeavor to be individualistic. Packages are also created individually and tied to the area. Romantic surprises are made easy with packages that might include a picnic delivered and set up on a secluded overlook including yummy dishes, sandwiches, roses, wine, and chocolate. The independent nature of the inn creates opportunities to partner for instance, with a nearby culinary school for a gourmet dinner package. The local focus of the inn encourages specialized packages for girlfriend getaways, local history tours, and spa experiences. 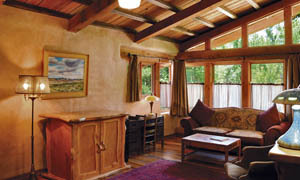 The overall spirit of the inn sits in harmony with the surrounding area. In stark contrast with a chain hotel, boutique hotels are shining showcases of luxury and elegance merged with the local soulk of a place. They may be a renovated brownstone on a busy city street or a quiet country inn a small wine country town. Small hotels feel authentic to the entire vacation experience. Boutique Hotels Feature Unique Architecture Many new innkeepers seeking to start an inn instead of buying an existing property, seek out historic buildings with architectural significance that can be renovated into an elegant boutique hotel. They pair original hardwood floors with sophisticated furniture. An old office building might be given new life with the vision of world-class architects, wrought iron balconies and interior and exterior historic details that are preserved. For instance, abstract paintings and black-and-white photographs might be hung on exposed brick walls. In super modern, or southwest regions, wood beams might be highlighted with bold ceiling colors. Classic charm and contemporary style will seamlessly blend to create a new urban chic. Historic buildings hold stories of years past and boutique hotels may have once been a rowdy tavern or a local department store. Famous families may have called the building home and their ghosts may softly whisper in the dark. Innkeepers celebrate this history by naming rooms after ships that once sailed in the adjacent harbor or family members of past owners. Boutique Hotels Expand Social Opportunities Wine and cheese receptions in the best boutique hotels are events not to be missed. Whether it is on a roof top deck overlooking the city, beside a bubbling fountain on a quiet patio, or in a well-appointed drawing room, an early evening reception presents an opportunity to unwind with other guests. Stories are shared, new destinations and attractions are discovered, and lifelong friends are made. It’s not unusual for guests to find themselves going to dinner with a couple they just met and making plans to meet at the same hotel the following year. The revival of tea time also provides a chance to slow down and enjoy the day. Fresh-brewed tea awakes the senses and homemade scones are a perfect midday snack to fuel the body till dinner and give a dash of gracious living. After a day of sightseeing, guests can share information about a small museum that shouldn’t be missed, a tour guide with a quirky sense of humor, or a shop with the best handmade jewelry selection. In a world that seems to move more quickly every second, luxury hotels encourage guests to slow down and enjoy life. Boutique Hotels Include Dining Opportunities and Recommendations Much like a bed and breakfast, many small luxury hotels offer complimentary breakfast with choices ranging from a continental breakfast of pastries and fruit and yogurt parfait to full breakfasts with entrees such as a portabella mushroom breakfast pizza or a delicate egg dish made with local ingredients. Fresh-squeezed juice bars, gluten-free options, and respect for dietary restrictions round out healthy options. Some small inns offer a basket of breakfast treats delivered directly to the room so that they may be enjoyed at the leisure of the guests. Innkeepers and staff members are invested in the neighborhood. They live in the area and/or frequent nearby establishments so they can authentically recommend the best place for fine dining, casual grub, or late-night cravings. They know which Italian restaurant has the best lasagna, which bar has the most extensive wine list, and restaurants that offes a gluten-free menu. Guests may choose to peruse a notebook of restaurant menus or ask for a recommendation for an unsurpassed dining experience. Some designer hotels partner with local restaurants to provide room service. 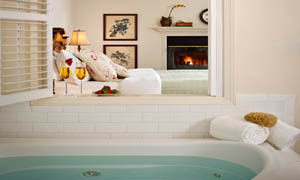 Boutique Hotels Offer Interesting Locations Small hotels might be in the middle of the action or in the heart of wine country, situated in a coveted part of the city, or a 30-second walk to the beach. They are often near eclectic shops and unique dining experiences or steps away from theater performances and art galleries. Guests at the best boutique hotels are made to feel like they are part of the surrounding neighborhood, not just a tourist. 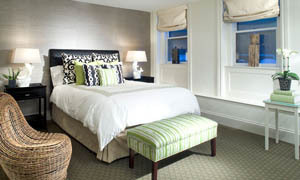 Boutique inns are located on famous streets in New York City, San Francisco, and Charleston, South Carolina. They can be found near almost any vacation destination from Napa Valley to Alaska to the Florida Keys. 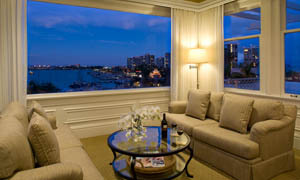 Guests need not leave the hotel for dramatic views of city skylines, fertile vineyards, or ocean shorelines. 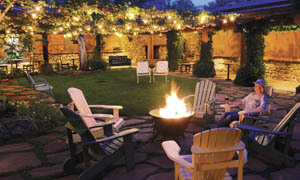 Boutique hotels boast rooftop terraces or porches with plush seating overlooking a bucolic meadow or river view. Inns near the shore offer beach towels and chairs to lighten the traveler’s packing needs. Boutique Hotels Boast Many Amenities Boutique inns offer patios and decks with ample lounge chairs, spa rooms filled with aromatherapy scents and the serenity that comes from a full body massage. Guests in a boutique hotel can often keep up with their exercise regimen in a clean, state-of-the-art fitness room or at a local partner gym where they can burn calories on a treadmill or boost strength with free weights. Boutique Hotels Offer More than Just a Bed Big hotels are most often simply a place to store your luggage and sleep each night while small boutique hotels become part of the vacation. They are immersed in the culture of the area through artwork, architecture, or other décor. They serve create appetizers using ingredients from surrounding farmlands. It’s not unusual for vacationers to become friends with the innkeepers and staff and return to the same inn year after year. A mutual trust and respect is built making consumer product sampling in boutique hotels an ideal situation. Travelers have strong positive feelings about the hotel and the products available to them. Upon return home, use of those same products evokes a sense of nostalgia and a bit of the vacation spirit.